Just a reminder that the April Gathering will be held on Saturday, April 13th at 6:00 p.m. at Thrasher Memorial United Methodist Church, Vinton, Virginia. Bring a pot luck dish and come enjoy the fellowship! Therefore, if anyone is in Christ, the new creation has come. 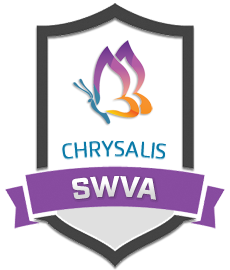 A Chrysalis Flight is a weekend of Christian growth during which you will enjoy three days of singing, learning, laughing, worshiping, reflecting, praying and participating in small groups. You will leave with an experience of Christian love in action that will equip you for new levels of grace-filled service and leadership. Countdown to the Next Flight!